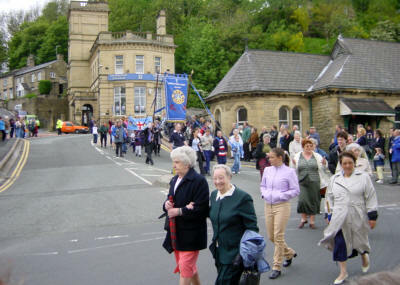 The Methodists in Stamford Street in 2002. 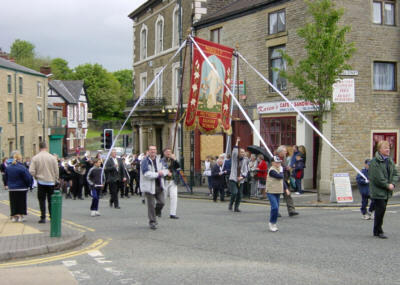 Every year on Whit Friday (the Friday after Whit Sunday), members of the various churches in Mossley parade to the Market Place, where they assemble for an inter-denominational service of witness. 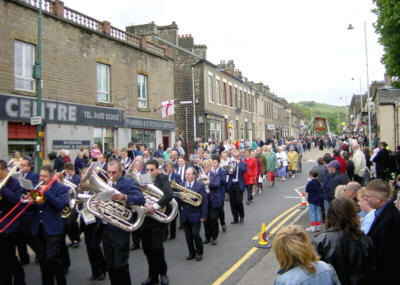 The assembled church members then walk in procession through the town, with brass bands leading each group. 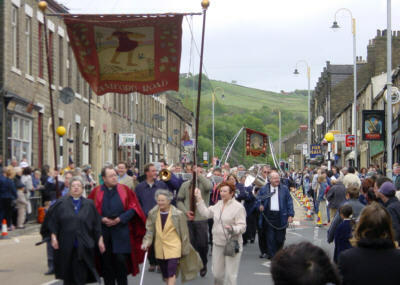 The procession walks down to Bottom Mossley and along Manchester Road, after which each group walks back to its own church. 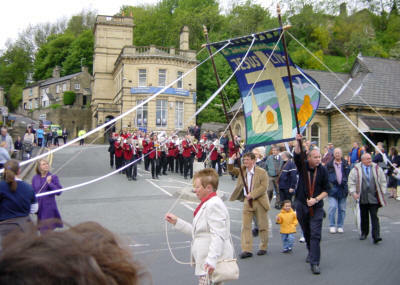 Whit Friday was traditionally the time when people wore new clothes, and the walk became an opportunity to show off these clothes. The wearing of new clothes originates from the past practice of newly baptised members being received into the church at Whitsun. The new clothes, often white, were symbolic of a new start. St Josephs process up Stamford Street. 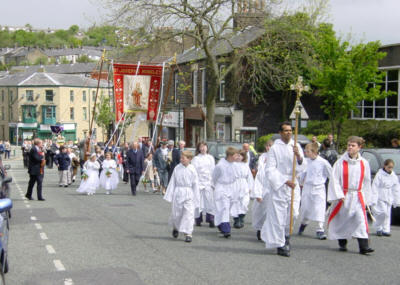 St Johns procession reaches Bottom Mossley. St Georges reach Bottom Mossley. Mossley Band accompanies the Walk. The Methodists on Manchester Road. 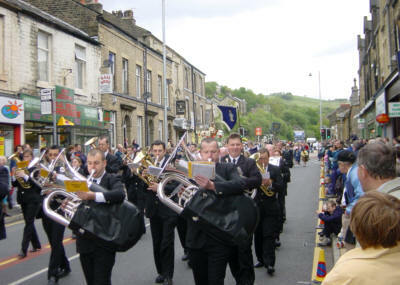 See also Whit Friday Band Contest. Back to the Mossley home page to find out about more about Mossley. Part of the ashton-under-lyne.com website.